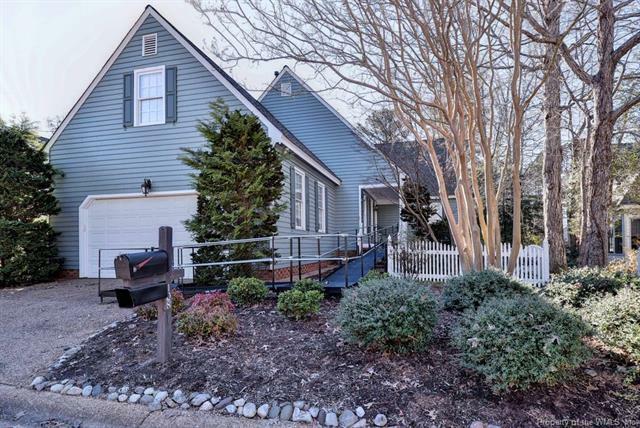 BEAUTIFUL 3 BR/ 3 BA HOME IN SOUGHT-AFTER ST. ANDREWS VILLAGE IN FORD'S COLONY; HUGE LR/GREAT ROOM OPENS TO DECK WITH SPLENDID GOLF COURSE VIEWS. WELL MAINTAINED HOME IS IN MOVE-IN CONDITION! PRE-LISTING HOME INSPECTION REPAIRS HAVE BEEN OR ARE BEING TAKEN CARE OF. SEE SUMMARY AND WHOLE INSPECTION BOOK ON COUNTER IN KITCHEN. GAS RANGE AND REFRIGERATOR APPROX. 6 MONTHS OLD.CHANDELIERS IN DINING ROOM AND EATING AREA IN KITCHEN CONVEY; COMES WITH HOME WARRANTY.